The users get irritated as soon as they plug-in their iPhone with Mac or PC to see iTunes or photos automatically popping up on the screen. Most of us just plug the iPhone for charging and not for synchronization. This condition can be fixed in below-mentioned ways. Connect iPhone to Windows or Mac. 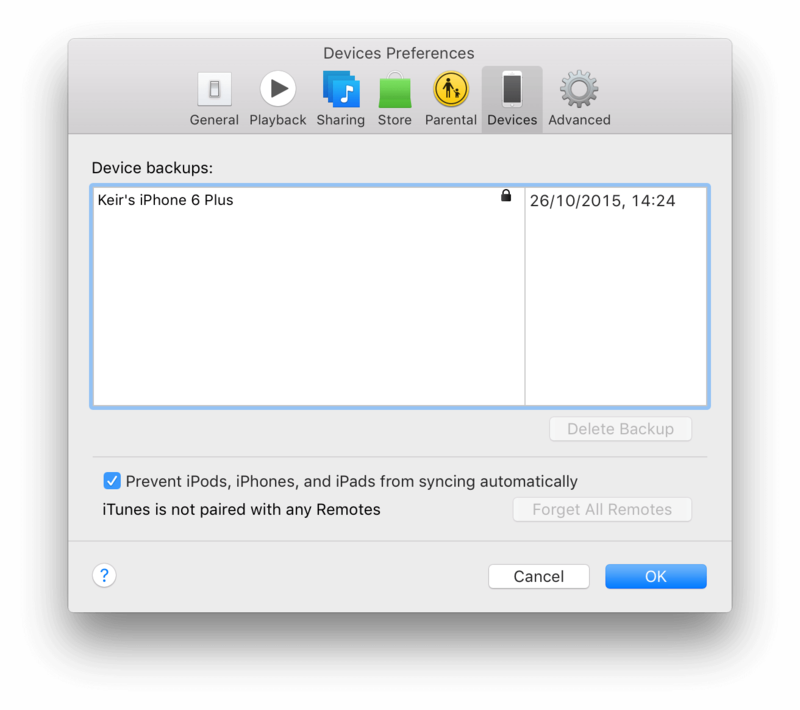 The device will sync, and iTunes will appear. On iTunes, click on your device tab. From left navigation panel, Click "Summary" tab. On the right side of the panel, under “Options”, uncheck “Automatically sync when this iPhone is connected”. Note: With this, the iTunes will not appear automatically when you connect your iPhone to the Windows or Mac. Connect iDevice with Mac or Windows computer. The iTunes will appear with synchronization of the device. Click “iTunes” on Mac or “Edit” on Windows from upper menu bar. On drop-down Menu, Click “Preferences”. 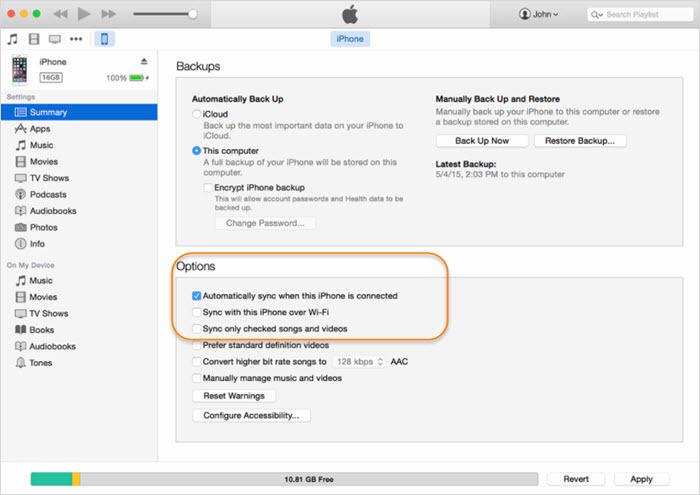 Check “Prevent iPods, iPhones, and iPads from syncing automatically” and hit OK to save the changes. These two ways will help the user to get relieved from the annoying experience of iTunes popping up on the screen. iTunes is not user-friendly, most of us won’t refuse the ultimate alternative to iTunes - “iMyFone TunesMate.” This will help in synchronizing the data of iPhone without letting the iTunes appear every time. It works as the bridge between iPhone and computer. 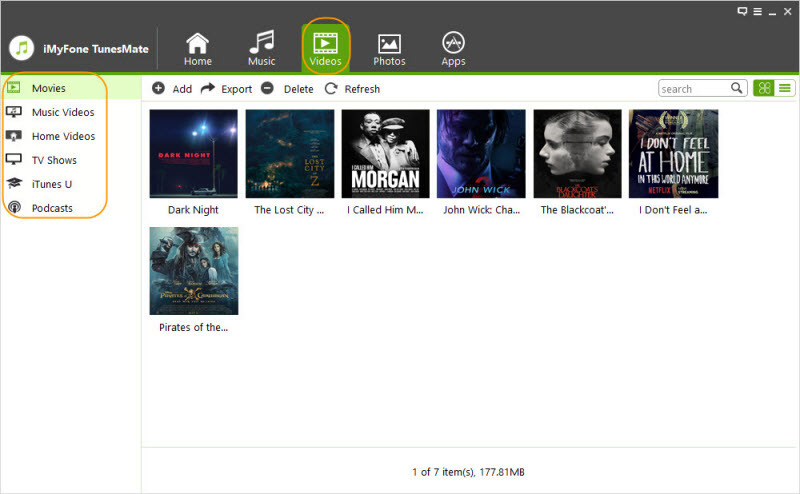 It even helps in rebuilding the corrupted or damaged iTunes library. Two-way transfer allows to freely transfer music, videos, photos, playlists, ringtones, and 10+ more files between iPhone and computer. Syncing iTunes library to iPhone won’t delete the existing files on iPhone. Share your purchased or non-purchased files with friends, even devices signed into different Apple IDs. Transfer files selectively in bulk or all at once in an organized way. 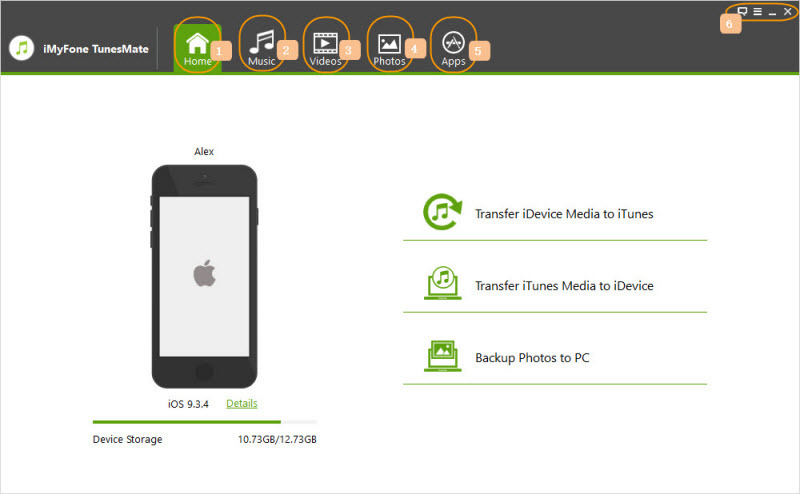 It offers free trial to transfer files to/from iPhone. Step 1: Connect your iPhone to the computer where iMyFone TunesMate iPhone Transfer installed. Step 2: Choose the file type from the top, such as Music, Videos, Photos and Apps. If you want to sync iTunes library to iPhone, choose “Transfer iTunes Media to iDevice”. If you want to transfer iPhone files to iTunes all at a time, choose “Transfer iDevice Media to iTunes”. Step 3: To extract files from iPhone, check the files and use “Export” feature. To transfer files to iPhone, use “Add” feature. Yes, it’s simple just as 1, 2, 3. Go ahead and try. It has the free trial. Not only us, but also other famous software review sites recommend TunesMate to be the great alternative to iTunes for Windows and Mac, like getintopc.com, tricksworldzz.com, crunchytricks.com, etc. Step 1: Open Photos on your computer. Step 2: Connect iPhone to computer using USB charging cable. Step 4: The name of your iPhone appears in the top left corner. Uncheck “Open Photos for this device” here. This settings only take effect for this connected iPhone, if you want to stop Photos app from poping up for other device, you need to connect it and repeat the above steps. Note Now, the users have to open the Photos manually when their iPhone is connected to computer. The users can manage their pictures in this particular way. By turning off this setting, the users can decide when to launch it again. Even users can manually open or copy the images from iPhone to computer. With the help of small settings, the users can decide on their own that which particular app they want to pop up as soon as they connect their iPhone to the Mac or PC. 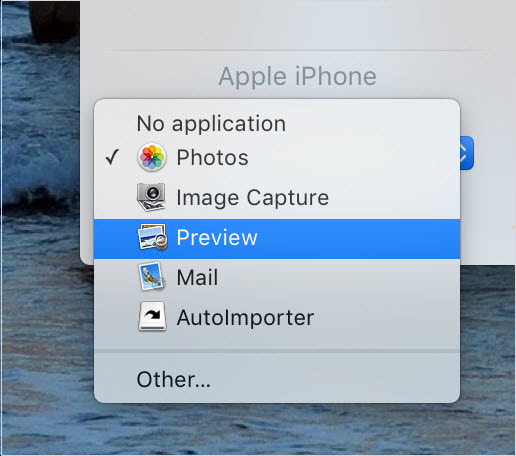 For Example: The users can select the "Image Capture" app to pop up as soon as their iPhone is connected via USB cable. They can instantly capture a photo or the video. In order to configure it, one can select it from the Applications list provided under the Finder. Here the users can select the ‘Image Capture’ if they want this app to open automatically. Step 1: Click the small triangle on the bottom left corner of your Mac. Step 2: Select your iPhone device at the top left of the window. Step 3: Choose from the drop-down list under the heading “Connecting This [Device] Opens”. Step 4: Click on Image Capture (it is one of the best apps as it helps in copying the images to hard disk destination without involving iCloud or Photos app) or other app. If none of the default choices takes your fancy, tap “Other ..” to choose your favourite one.